This lesson is the fourth lesson in a series of five that explore the theme “Guess Who’s Coming to Dinner?” through Bible stories that each involve the sharing of a meal. This lesson would work for Sunday School or Children’s Church. The introduction activity may be used as a children’s sermon illustration for this Bible story. Estimated length is 45-60 minutes. 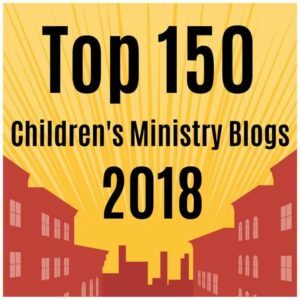 By contributing writer, Nicole VanderMeulen, Children’s Ministry Coordinator at St. Matthew’s Lutheran Church in Renton, Washington. Children will experience the Passover story and explore how God saves his people and we use special meals like the Seder Meal at Passover and Holy Communion to remember God’s great grace. Explanation: The big idea is that when we gather together around food and drink, Jesus is with us too, and this unites and strengthens our Christian community. For churches that regularly observe the sacrament of Holy Communion, each of these Bible stories and lessons can be connected to the story of The Last Supper and the belief that Jesus told us to eat bread and drink wine together and remember him. Jesus invites everyone to his table for forgiveness and renewal, especially those who are far from him or have forgotten his love, and his hope for us is that we would do the same for others. In the story of the first Passover, God saves his people. Many Jewish people today still celebrate and remember Passover with a Seder Meal. Christians gather around the meal of Holy Communion during worship to be reminded that Jesus gave his body and blood so that we will live forever. Introduction: Ask the children if they know how to play freeze tag and if they would like to play with you today. Explain that the game is played just like traditional tag, except when you are tagged by the person who is “It” you must “freeze” and remain still until another player comes to “unfreeze” you. After you play, discuss the game. How did it feel to be frozen? Who saved you when you were frozen? How did it feel to be the one freezing people? Who really saves us so that we can live forever in heaven? Welcome the group to your “home” and invite them to sit on pillows around a low table. Explain that part of celebrating Passover is eating a meal together called a Seder and that during the Seder, the story of the very first Passover is told. God: Moses, go to Pharaoh and tell him to let my people go! Moses: (to Pharaoh) God says to let my people go! Because Pharaoh was being stubborn and not letting God’s people go, God had to convince him. God sent several plagues to Egypt – God turned the water red, made all the Egyptian animals sick, and sent lots of frogs to jump all over the place. After each plague came, Moses went back to the Pharaoh to tell him to let God’s people go. Moses: Let God’s people go! After God had sent 9 different plagues, and Pharaoh was STILL keeping God’s people as his slaves, God knew that God would have to do something drastic. God told Moses what would happen. God told Moses to tell the people to pack to go quickly on a journey. They were to bake some bread without waiting for it to rise, and on a certain night, they were to kill a lamb and roast it. They should take the blood from the lamb and put it on their door post, and this would be the sign that the last plague should not come to that home. Pharaoh: Go, take them and go! God kept the Israelite people safe, and Moses led them to freedom. God told Moses, and Moses told God’s people to remember God’s blessings every year by telling the story again and by eating flat bread and lamb. That is why Jewish people, to this day, celebrate Passover with a Seder every year. Activity: Prepare your room by setting out some bread baking props (bowls/measuring cups/flour/recipe/etc.) and place croutons around the room. You do not need to hide them, but they should not be so noticeable that the children would easily see them before you’re ready for them to. * The bread we are used to eating has flour, water, and yeast in it. * When yeast is used in baking regular bread, the dough has to sit for a while to rise before it can be baked. The Bible tells us that God gave the Hebrews instructions for the first Passover (that was when God led them out of Egypt) AND instructions for how to celebrate the Passover every year after that. We are going to pretend we are Israelites about to celebrate the Passover. We are going to clean the yeast out of our room. Divide the class into as many groups as there are adults to help. (2-3) Give each group a small plastic sandwich bag and tell them to collect the croutons you have placed around the room and/or church. Instruct the children to look quietly and calmly. They should stay with their group. Give each group an area to look and give them 5 minutes to search their area. When they return tell them that even today many Jewish families begin their Passover celebration by getting rid of anything that has yeast in it. Scripture Exploration: God gave the Hebrews some other instructions for what to do for the first Passover and how to celebrate it every year after that. In this bag I have some object that are symbols of some of those instructions. Select a child to reach in your bag and select something without looking. Ask the child if they know what the object has to do with God’s instructions for the Passover. Read the scripture listed next to the object below. I wonder what would have happened if the Hebrews had not put the lamb’s blood over their doors? I wonder what would have happened if the Hebrews had put yeast in their bread and waited for it to rise before they started to leave Egypt? I wonder why God gave the Hebrews all of these special instructions for celebrating the Passover every year? After the children have given their answers read Exodus 13:3 &16 to give them God’s reason for the specific instructions. Movie: The Prince of Egypt –This movie has great clips that show how God told Moses to free the slaves in Egypt, how the plagues came when Pharaoh said no, and how the red doorposts helped the people to stay safe. Communion Connection: When Jesus gathered with his disciples for the Last Supper, they were celebrating Passover. Jesus gave clear instructions that we should share wine and bread and remember him. This Communion meal continues to give Christians a way to gather together and remember Jesus’ saving power. Prayer: Consider using a “repeat after me prayer”. Pause between every few words, allowing the children to echo what you have said. Dear God,/Thank you/for saving us./Help us/to remember/and celebrate/all you have done./Amen. Need More Help? The check out our Exodus lesson plan or browse our list of free Sunday School lessons.